1 Lurence SL, Paul M, Johanna MS, et al. Age-related macular degeneration. Lancet. 2012; 379: 1728-1738. 2 Gupta N , Mansoor S , Sharma A , et al. Diabetic retinopathy and VEGF. Open Ophthalmol J. 2013;7:4-10. 3 Leung DW, Cachianes G, Kuang WJ, Goeddel DV, and Ferrara N: Vascular endothelial growth actor is a secreted angiogenic mitogen. Science. 1989；8;246:1306-1309. 4 Keck PJ，Hauser SD，Krivi G, Sanzo K, Warren T, Feder J, Connolly DT：Vascular permeability factor, an endothelial cell mitogen related to PDGF. Science. 1989; 246:1309-1312. 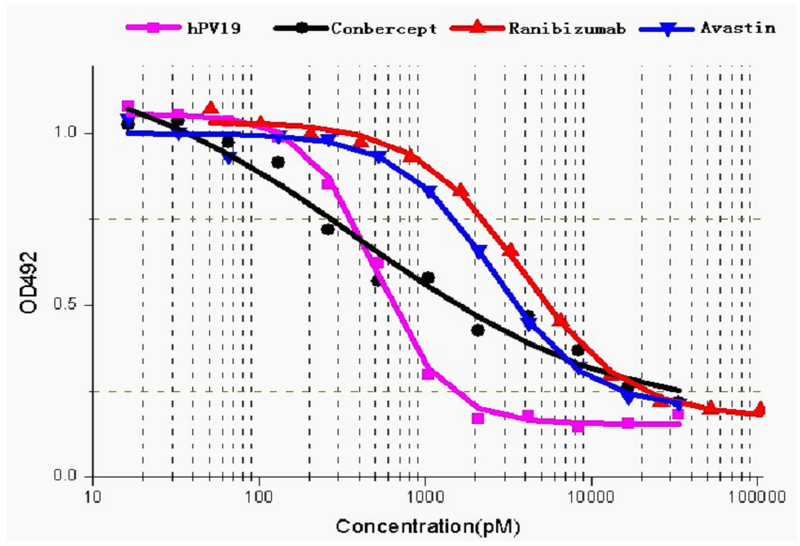 5 Carmeliet P, Ferreira V, Breier G, et al. Abnormal blood vessel development and lethality in embryos lacking a single VEGF allele. Nature. 1996;380:435-439. 6 Ferrara N, Carver-Moore K, Chen H, et al. 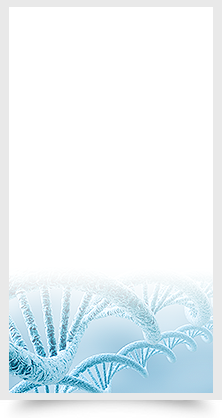 Heterozygous embryonic lethality induced by targeted inactivation of the VEGF gene. Nature. 1996;380:439-442. 7 Brown DM, Kaiser PK, Michels M, et al. 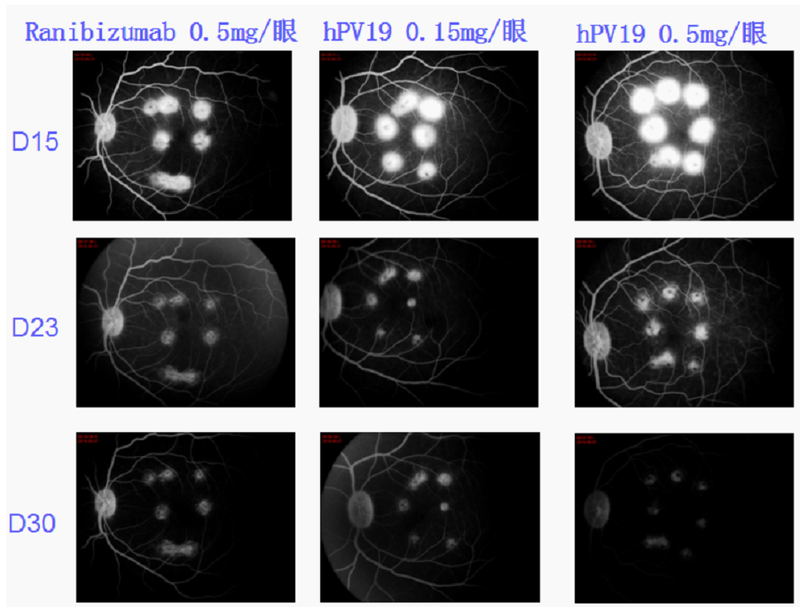 Ranibizumab versus verteporfin for neovascular age-related macular degeneration. N Engl J Med. 2006;355: 1432-1444. 8 Rosenfeld PJ, Brown DM, Heier JS, et al. 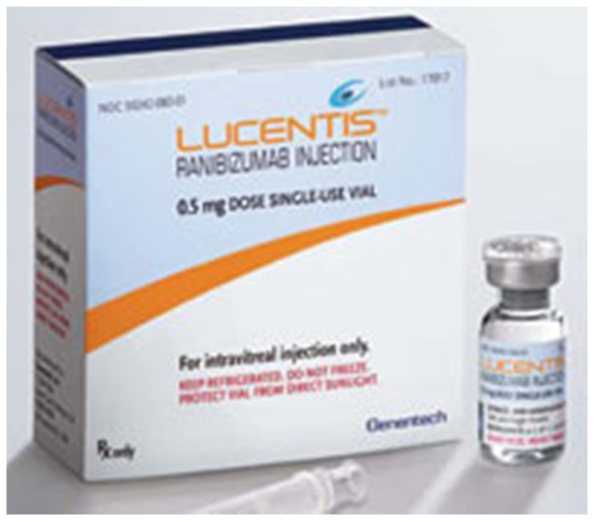 Ranibizumab for neovascular age-related macular degeneration. N Engl J Med. 2006; 355: 1419-1431. 9 Martin DF, Maguire MG, Ying GS, Grunwald JE, Fine SL. Ranibizumab and bevacizumab for neovascular age-related macular degeneration. N Engl J Med. 2011; 364: 1897-1908. 10 Stepien KE, Rosenfeld PJ, Puliafito CA, et al. 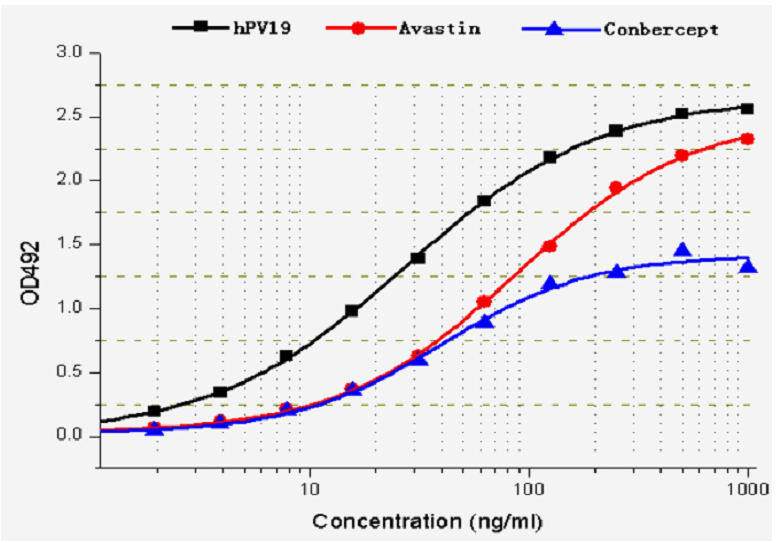 Comparison of intravitreal bevacizumab followed by ranibizumab for the treatment of neovascular age-related macular degeneration. Retina 2009; 29: 1067-1073. 11 Wells JA, Glassman AR, Ayala AR, et al. Aflibercept, Bevacizumab, or Ranibizumab for diabetic macular edema: two-year results from a comparative effectiveness randomized clinical trial. Ophthalmology. 2016; 123:1351-1359.